Will you grow vegetables or flowers or both? Will everyone get their own plot or will they all be shared? Whom will the garden involve and benefit? (make sure to include these people in all discussions throughout the entire process of starting and maintaining the garden). Choose one or two well-organised people to facilitate the group. Having two people who work well together can really help prevent overloading one person with this responsibility, and remember it is their job to call a meeting and facilitate conversation, not to do everything. First look within your group and community and assess your collective resources. Have each person tell the group what excites them about this project, what skills they have to bring (e.g. enjoying talking with people, very organized, good at building etc.) and what skills they’d be interested in learning or developing in this process. It is also helpful to ask each person how much time they have to give to this project and for how long they are available. It is usually enough simply to talk this out, but if you feel the need to write it down here is a Volunteer Form you can look at for ideas. After you have an idea of the resources you have within the group identify what is still missing and who might be able to help. Contact local municipal planners about possible sites, as well as horticultural societies and other local sources of information and assistance. 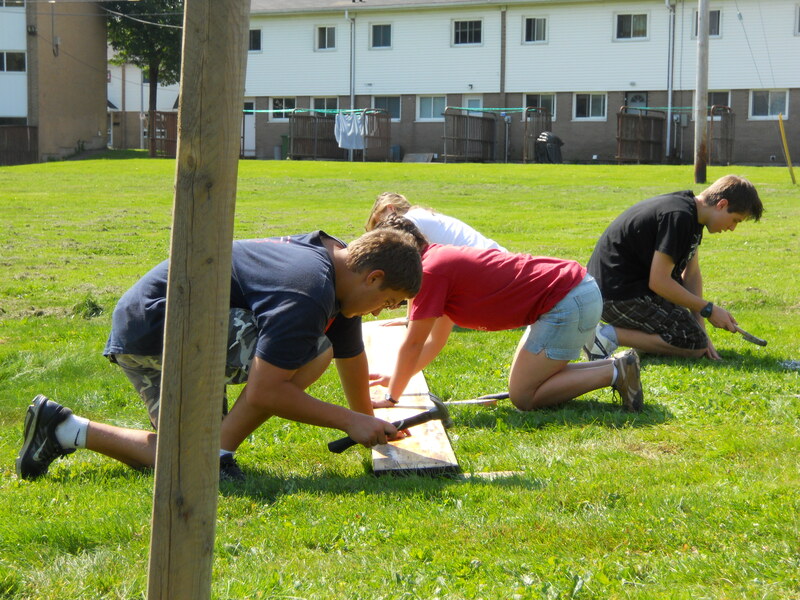 Look within your community for people with experience in landscaping and gardening. 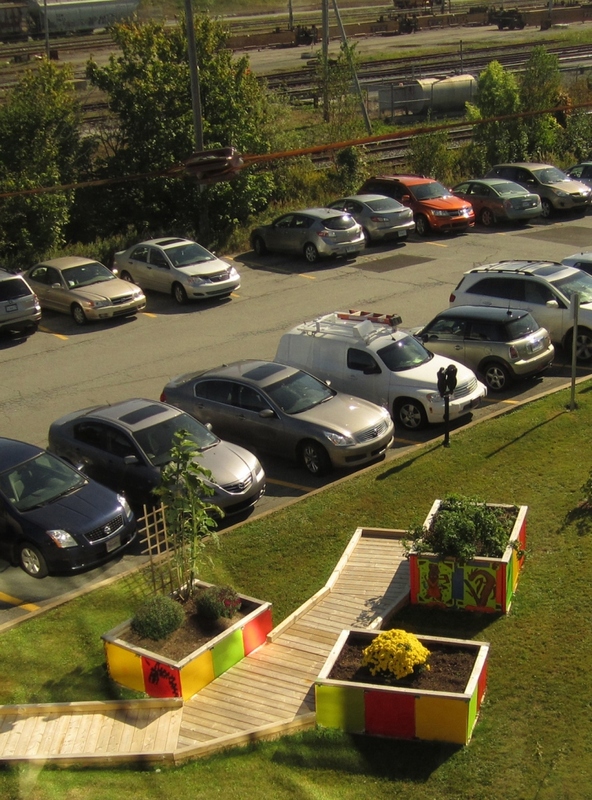 In Halifax contact the Urban Garden Project at the Ecology Action Centre. 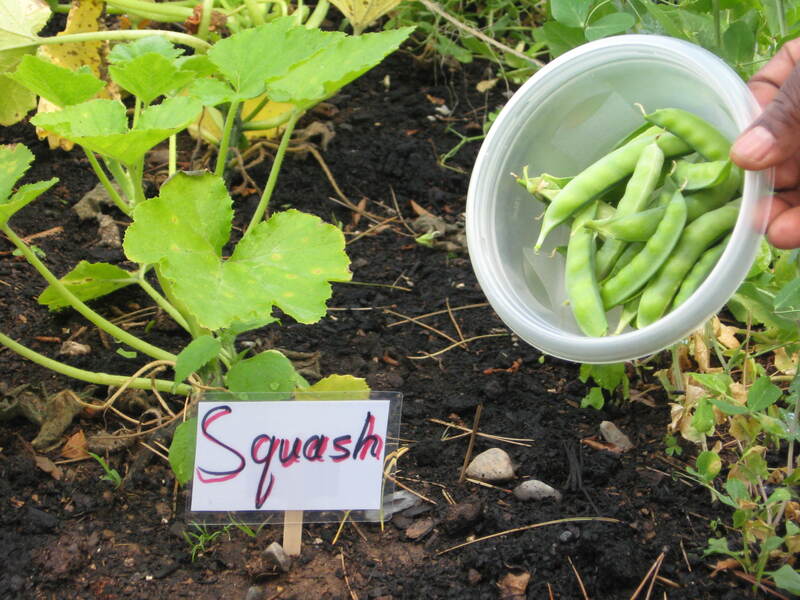 One garden raised money by selling “square inches” at $5 each to hundreds of sponsors. If you do choose to fundraise through an event, make sure to weigh the work involved in organizing the activity against the money you will raise. 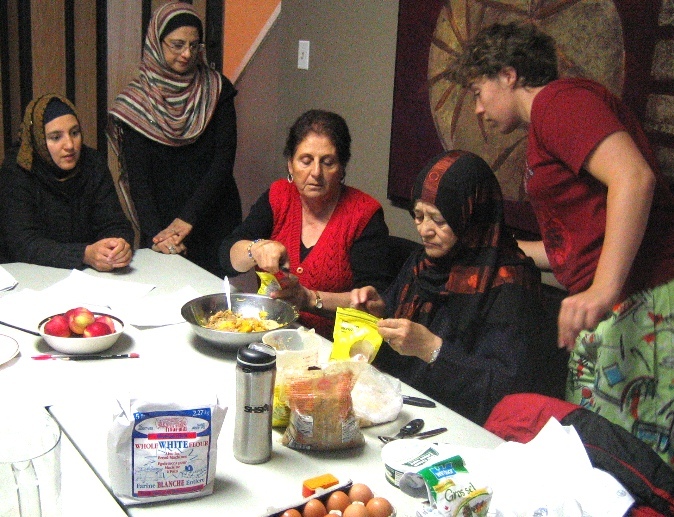 Some activities are better tools to build relationships with the community and others tend to be better fundraisers. 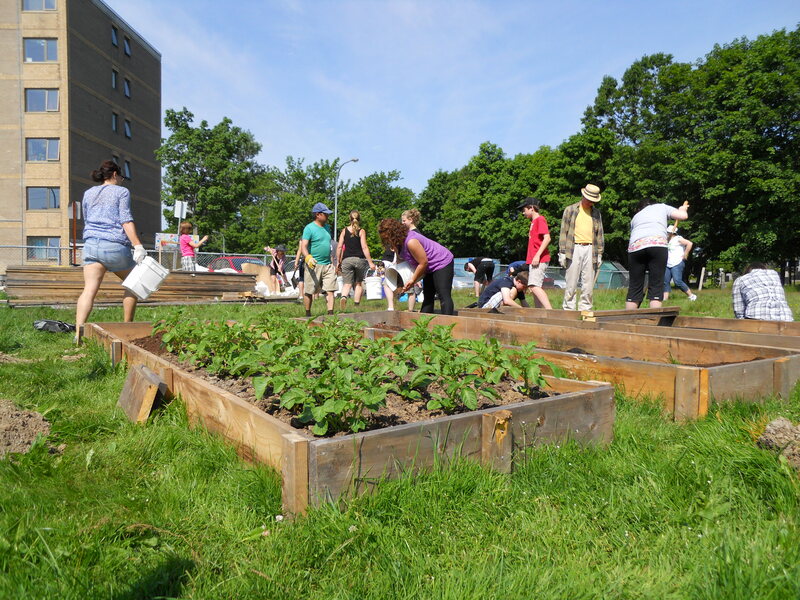 Look around your neighbourhood for potential garden sites. Consider the amount of daily sunshine (vegetables need at least six hours a day), availability of water, and soil testing for possible pollutants. Find out who owns the land. If it is private land contact the landowner and discuss your idea with them. Members must decide how many plots are available and how they will be assigned, or if the entire garden will be run collectively. Once you have decided these basic needs its time to design the garden. There are limitless ways to organize a garden, and design makes a huge difference in the beauty and productivity of your garden space. So do your research first and ask some local professionals to lend a hand in the design. Consider rain water catchment systems, a large compost area, and a small shed to store your tools and wheelbarrow in and don’t forget the pathways between plots! 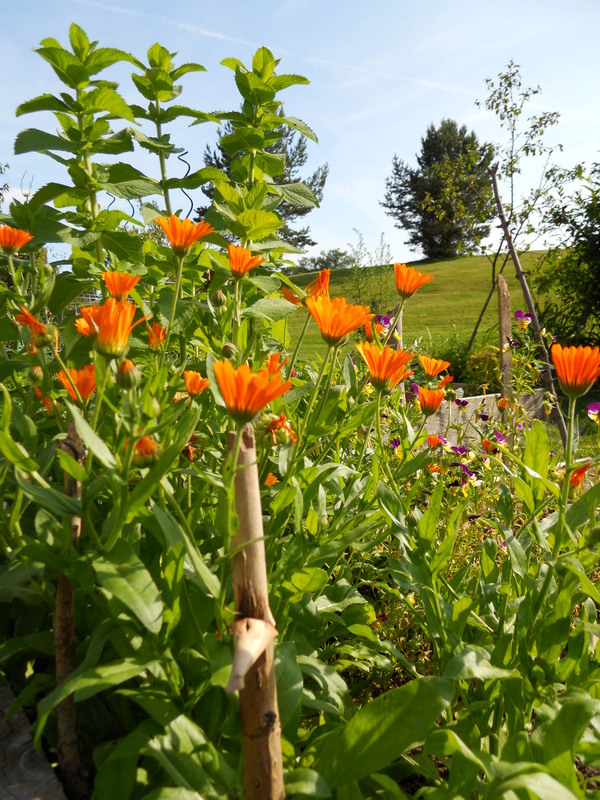 Plant flowers or shrubs and medicinal herbs around the garden’s edges to promote good will with non-gardening neighbours, passers-by and municipal authorities. Consider having at least one communal plot for everyone to contribute to and take from, maybe with flowers and herbs, and keep native species in mind when choosing and planting perennials around the garden plots. Include social areas with seating and spaces to eat, or read. Finally include signage to let folks in the neighbourhood know what’s happening and how to get in touch. In most cases, the land will need considerable preparation for planting. Organize volunteer work crews to clean it, gather building materials, order soil and translate the garden design into a building plan. If you are working with the soil you have, get a soil test first. If you are in the city consider testing for contamination as well as nutrients. If you aren’t in an industrial or urban area, a nutrient test is likely all you need. For more information on this take a look at How To Get Your Soil Tested. The soil will likely need a bit of work. 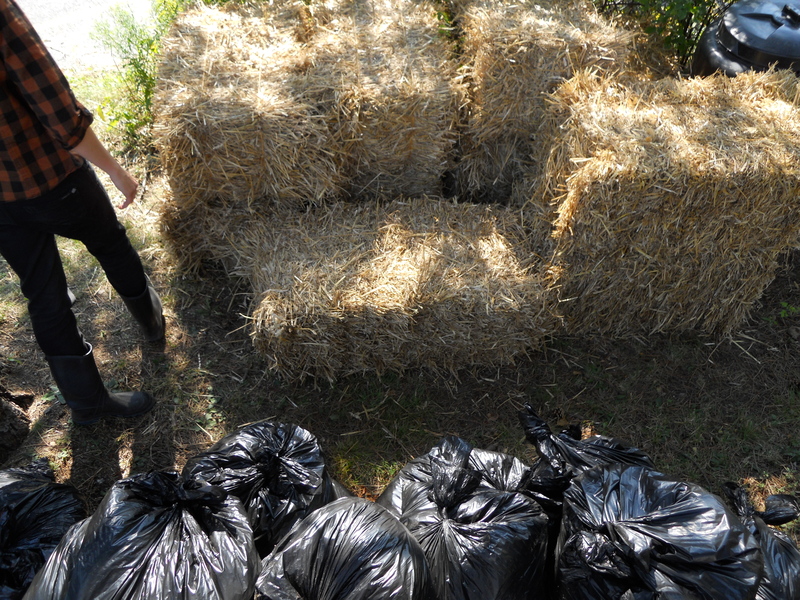 Consider taking a season to grow only cover crops to prepare your soil or use sheet mulching to build new beds. 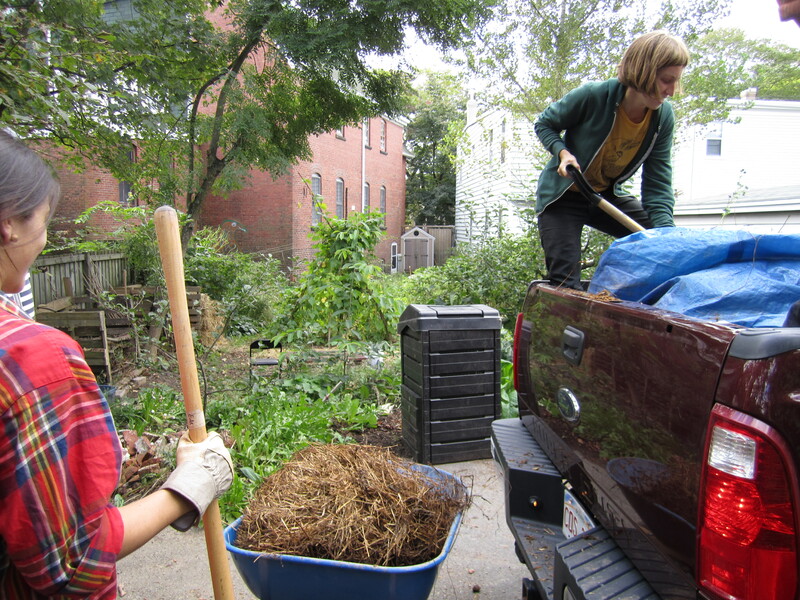 Or if you’d rather hit the ground running, build or buy lots of compost to add in to your existing soil. The soil test will also give you a great idea of what soil amendments you will want to add. 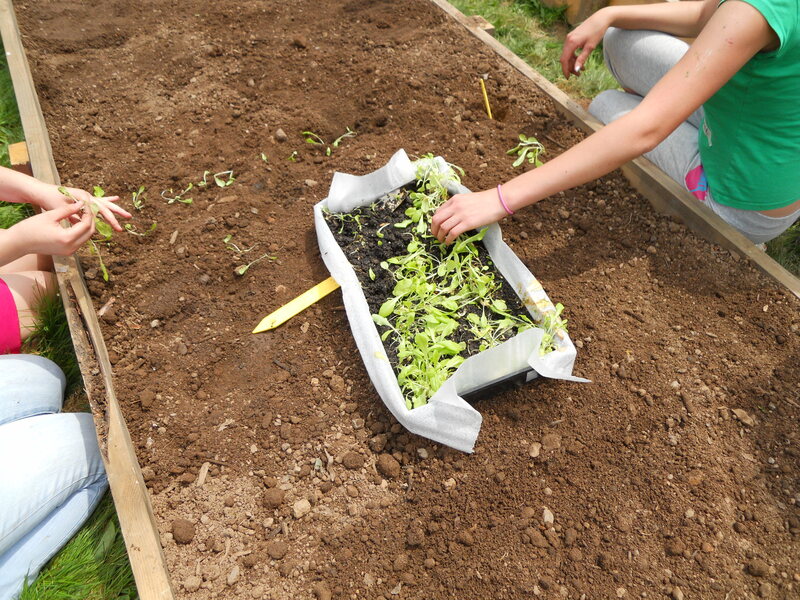 Consider creating a special garden just for kids—including them is essential. Think about bean tunnels or sunflower forts, and using plants to create special spaces. Make the space and garden membership family friendly. Look at making the garden accessible to wheelchairs and walkers, with wide and sturdy central paths. 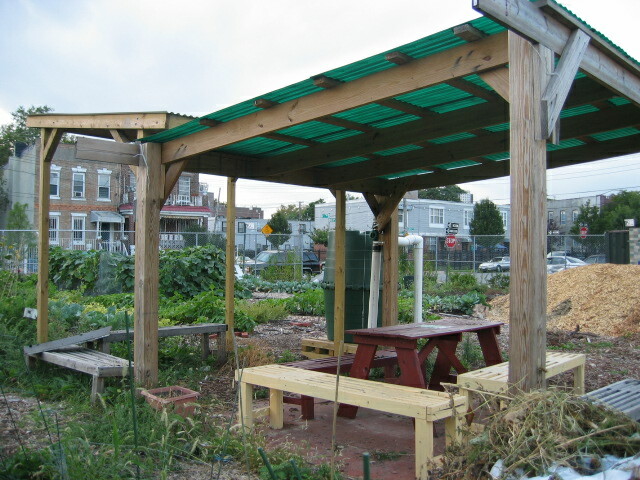 Having a raised bed that is better adapted for sitting is another possibility for increasing accessibility. 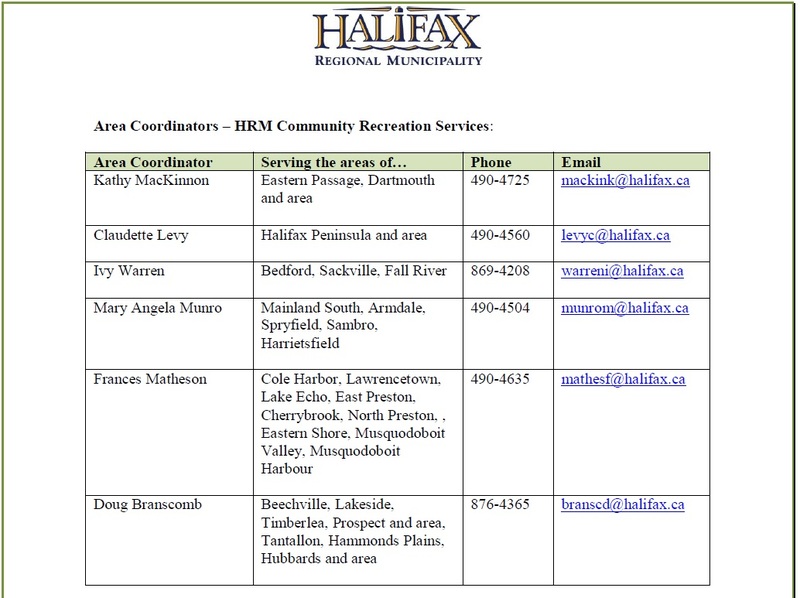 If you have questions consider calling a local community organization that specializes in making spaces accessible such as reachAbility here in Halifax. Gardens are not only made accessible through physical means, but also through social and political means. 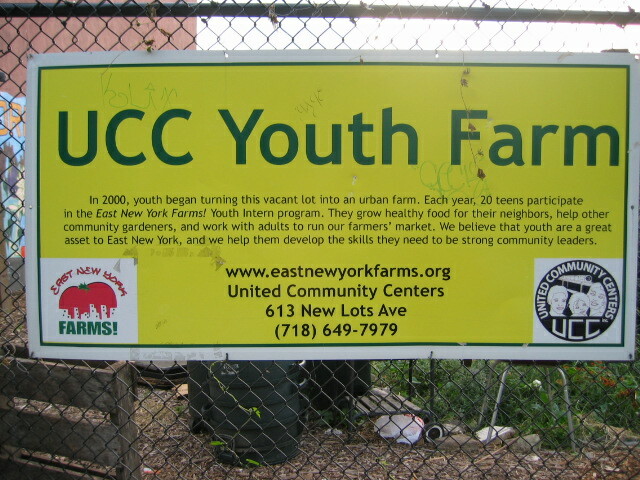 Making sure the garden is accessible to folks of different races, classes, sexual orientations (and etc.) is an ongoing process of learning, talking with one another and changing. 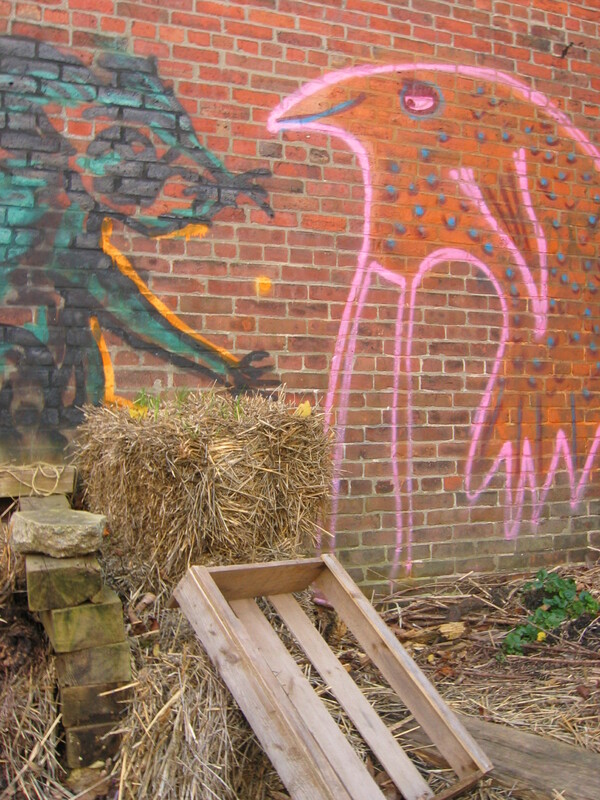 Pay attention the language used around developing and inviting people into the garden project, be aware of obstacles people might face in becoming involved in the garden and work to remove them. Most of all keep communication open to all, listen to what is being said. Keep in mind the wide range of needs your gardeners may have and strive to make the space accessible to everyone. 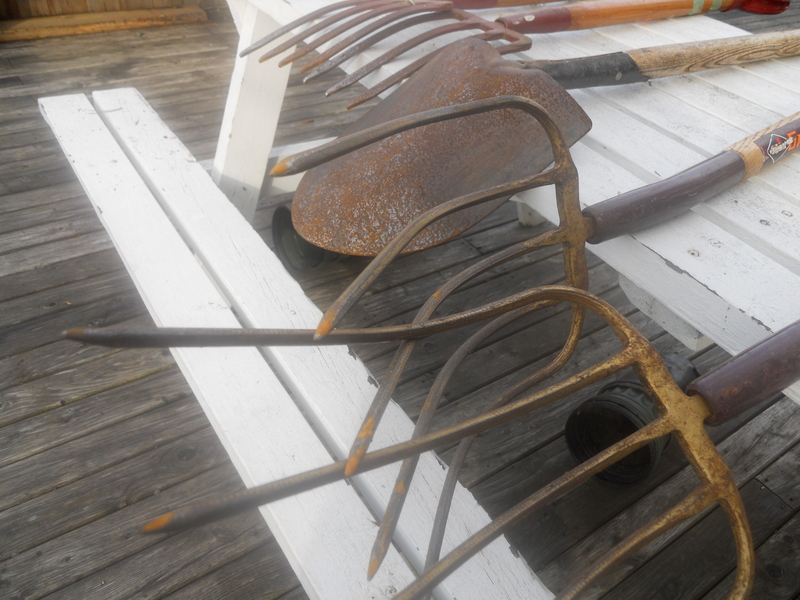 Will gardeners share tools, meet regularly, handle basic maintenance? Do you need a waiting list for more members? Are members required to use organic methods (ie. prohibit pesticides and fertilizers)? What happens if members neglect their plots? If your group charges dues, how will the money be used and who will be responsible for it? 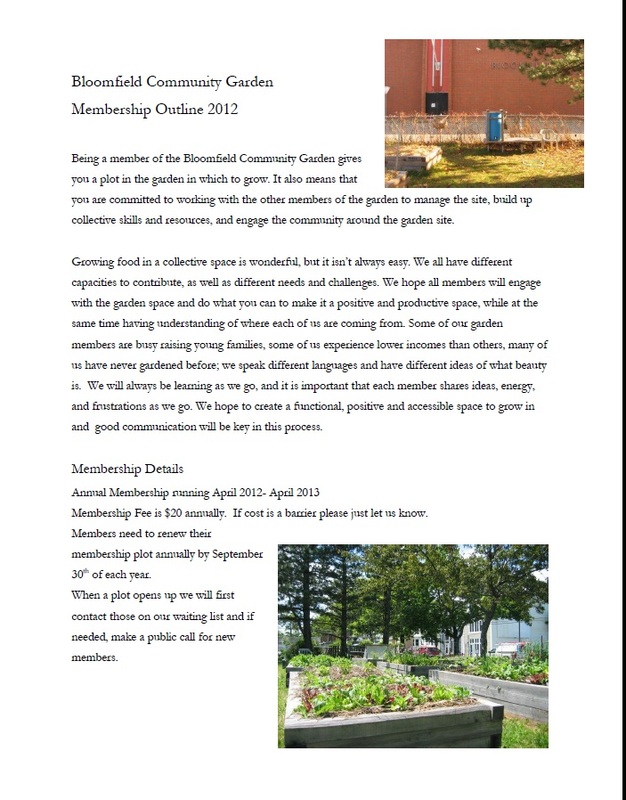 You can take a look at this Garden Membership Outline from a community garden here in Halifax to give you an idea of one garden’s organizational structure. They also use a Membership Commitment as well. 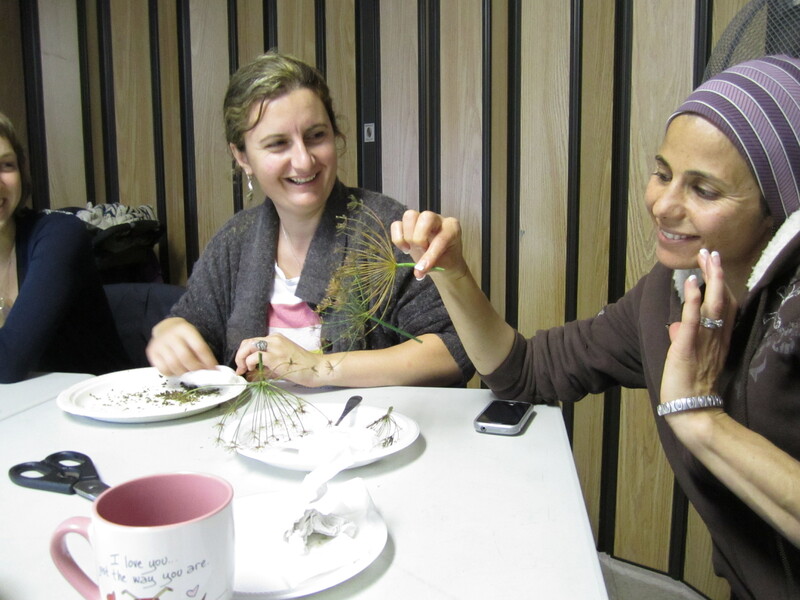 Communication is the essential foundation to a successful community garden. All conflicts and obstacles I have seen are from a lack of communication, or from a communication breakdown. Remember that everyone is coming to this garden from a different place and communicates differently. Find out how people prefer to communicate. Does everyone use email? Would people rather be called? 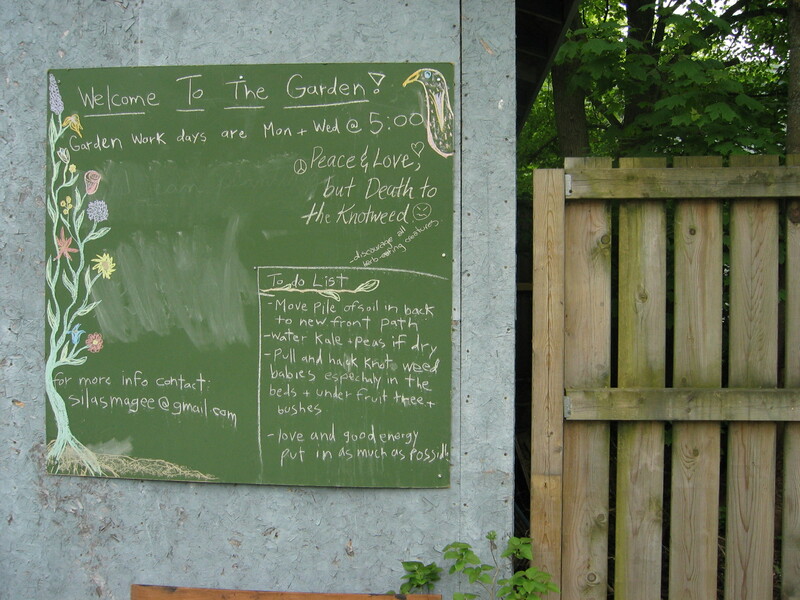 Install a physical communication area in the garden such as a rainproof bulletin board or a chalkboard, and have regular celebrations where people can get to know one another better and have fun together. It is also helpful to have one common email account, and to put that on your sign. All garden members can access the account, but it helps the general public get in touch over the years as your coordinators change if they want to get a plot, lend a hand, or ask a question. 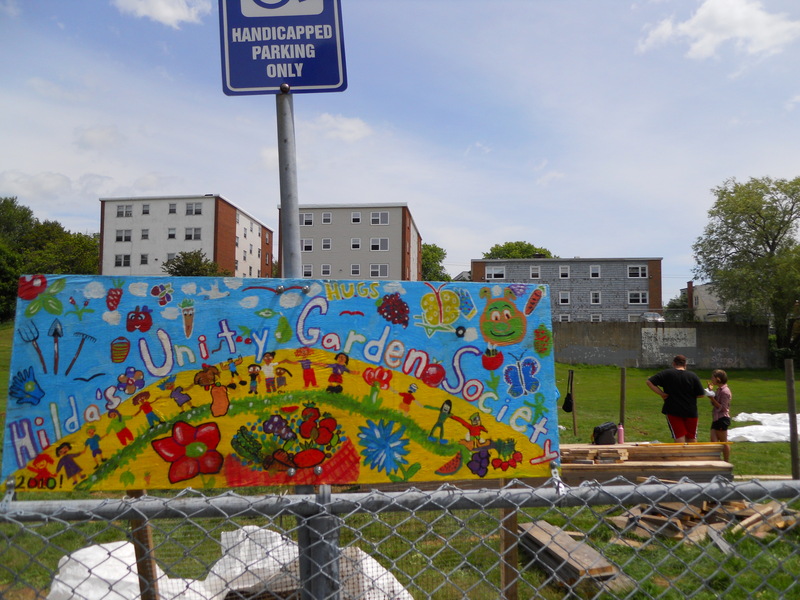 There are a lot more great resources in the Halifax Garden Network Toolkit.